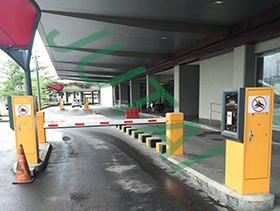 - A capacity crowed at parking lot and often blocked, it is very difficult for customers to find a parking space? - Often have to queue in the passageway, lead to customers very agitated, often get lots of complains? 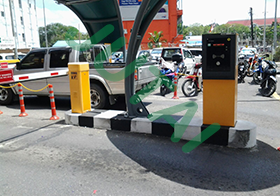 - The queuing time is too long before the mall closed, often cause the charge dispute, even need to release vehicles for free to ease long lines and complaints? - System vulnerability, results a lot of fraud and cash losing? - System break down, cannot offer comfortable and quick service for customers? Large Shopping Mall is a place where many shops and brands gathered, provide comfortable and quick parking lot experience is a very important aspect of improving service and increasing passenger flow volume of shops, and the spending power of motorists are stronger than other customers, so how to provide a high efficiency, security and stability parking lot is very important for the customer, and the parking lot is the place where gives them first impression and last impression, so choosing what kind of parking equipment for the operation of the whole Shopping Mall has the extremely important influence. 	Print method: direct thermal. 	Print speed: 25 RPM (6-inch per minute). Paper width: 60 mm. 	Cashier Drawer: 4 trays for bills, 8 trays for coins. 	Electrical: 110 or 220VAC, 50/60Hz. 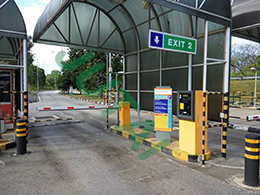 	POS Application Software : Administration login : Username/Password login or authorization card required; Multiple authority levels can be applied for configuring differrent group of system functions. 	Mifare card reader (wall mount type) for season card (subscriber) system. 	Color TFT LCD touch screen for operator display. PM-900TEN is an Entry Terminal. 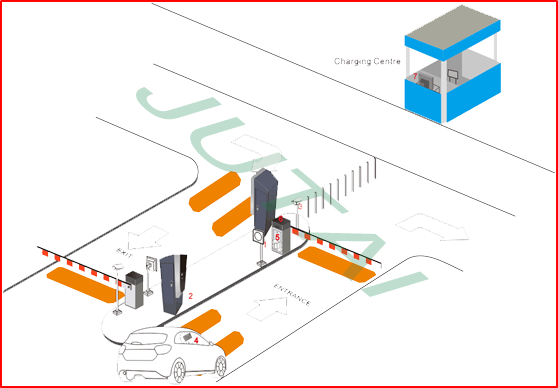 It supports Mifare card as parking tickets It supports a barcode ticket as parking tickets. PM-900TEN Cashier Station is a PC based POS computer in JUTAI parking system. 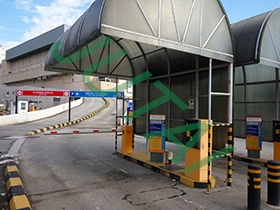 It supports the barcode tickets and provides a manned payment service for a parking facility.